I received your letter today in the mail about welcoming feedback, and in actual fact had been planning to email anyway just to say that I was extremely impressed with the service we received from your company. Not only did you go out of your way to find someone to do the job urgently, but every person we dealt with during the process was extremely friendly and helpful. As much as we didnt like having to spend the money, it was nice to at least be able to say we were extra happy with the service we received. I actually have recommended you to a friend in the last 24 hours, not sure if he will contact you, but I will happily recommend your company to anyone that is looking to get a new HWS installed. I also work in the community housing field, and will be recommending your company to my boss to consider for future HWS purchases, Im sure they will at least consider getting a quote. We had Neil visit us on Monday and wish to sing his praises. Our solar hot water has never been so good and I felt the advice he was giving was so genuine. He was not just trying to up sell. 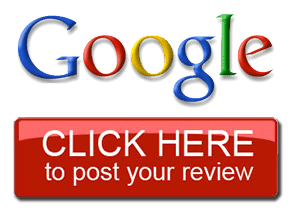 We will be certainly be recommending to others and will leave a review on your website. Thank you!!! Your service was quick, prompt and excellent with the initial contact being extremely helpful. We wanted to thank you for the excellent service you provided last week when we needed to replace our old hot water system. All done on the day of ordering so we really appreciated the prompt service and the technician staying late to connect the electrics. We would like to express our appreciation for the service provided to us by SA Hot Water™ today. Our Hot Water service died this morning and after just one call to your organisation, we were able to have a New Hot Water System installed that afternoon. From the first point of contact, the lady who accepted our initial call was both courteous and friendly, and offered helpful advice before arranging for a sales person to call us. Again, the salesman was courteous and helpful and answered all our questions in a patient and professional manner. He promptly arrange for our selected unit to be install within the hour. Amazing! In addition, the Tradesman that arrived at our house was also professional and courteous. Thanks again for your superior service, a we will be recommending SA Hot Water™ to our friends and anyone who is in need of your services. We wish to thank you for the attentive and obliging service provided. All the jobs were carried out by Greg in an efficient and speedy manner. Should any of our friends need plumbing services we will safely recommend you to them. I just wanted to drop you a quick line and thank your technician, we have had you guys out several times over the year and SA Hot Water™ and in particular this technician have been fantastic in helping to solve our problems as economically and as timely as possible. Thanks again and please pass my thanks on to the tech. Just a short email to say a “big thank you” for your good customer service. I just wanted to send a quick email to say thank you very much for all of your help yesterday with my busted hot water service at Prospect. I really appreciated how thoroughly you went over all of the details with me giving me options for a new system and also just how quickly my new one went in. It was really great to have that help after the stress of the old one blowing up. Thanks again for making things so easy for me yesterday. My service was replaced before the other plumber had even gotten a quote back. It was great!! I wish to thank you for your prompt service and attention to my problem. I felt that I had excellent service beginning with the lady who answered my tele enquiry, and then subsequent contact from Steve to inform me of my requirements to repair my hot water service and to gain my permission to continue. And of course, to the technician who attended my premise to repair. Wonderful team effort and excellent service. Just emailing to compliment both the girls on the when I call, and also the serviceman’s communication and ability to diagnose and fix promptly. When I first called, the girl brought up all our information, asked if we had followed through on some recommendations and in summary, she knew what she was talking about and was very efficient. I was not asked to wait on the at any stage. The second time I called after the man had been here, this girl quickly found out the water pressure test result for me with no sign of it being a chore for her. The plumber was very courteous and made sure I knew what he was doing, what he had found, etc. He didn’t take long to find the problem and fix it. In this day and age, I can hardly say I see this quality of service anywhere. I’m very impressed, and also sure that you can appreciate their efforts and true customer care. WELL DONE! Recently I had my solar hot water system replaced by SA Hot Water™. Since it is only natural that people would complain if something went wrong during an operation like this, I feel it would then also be natural and logical that people dish out compliments if things go well! I like to compliment you as the manager and SA HotWater with the excellent, fast and efficient service I have experienced. In particular I would like to mention Pam, whose tele manner is second to none, and a pleasure to deal with, a true asset to your company, as well as Bob, the installer, and his crew who were friendly and courteous at all times during the project. Thanks and well done to all involved! This is iust a note to say how happy we are with our new Bosch Highflow Hot Water Service. We would like to take this opportunity to thank you, not only for your personal attentive service and advice, but also for your company’s professional and speedy installation. We were most impressed with the manner in which your installers completed the work and found them to be very polite and efficient. They obviously take a great deal of pride in their work. ln closing, the outcome was a truly professional job and we would like to thank you. This is just a short note to thank you for the excellent service your business provided me recently. After another company took 2 days to unsuccessfully fix my hot water service, I contacted your business and you provided a professional and friendly technician. He diagnosed the problems within minutes and had the system working again in less than 30 minutes. Again thank you for the professional manner in which the technician attended and repaired the system. It was excellent and I will recommend your business highly.